Amazon is losing its grasp on the smart speaker market. 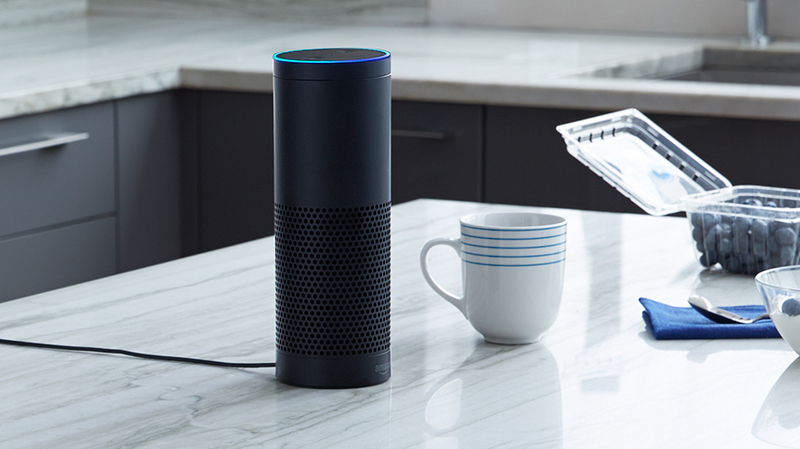 Amazon is no longer the smart speaker king. A report from research firm Canalys this week found that Google Home shipments outpaced those of Amazon’s Echo products for the second straight quarter as the search giant grows its smart home business overseas. Chinese tech behemoths Alibaba and Xiaomi also clocked strong growth, whittling Amazon’s market share down to just a quarter of the nearly 17 million devices shipped during the period. Google sold 32 percent of that number, and Alibaba and Xiaomi 18 percent and 12 percent respectively. That’s a stark contrast to the same quarter last year when Amazon shipped 82 percent of all smart speakers worldwide compared to Google’s 17 percent and less than one percent from other competitors. Google first passed Amazon in the first quarter of this year, according to Canalys. Amazon still reigns supreme in the United States; it controls 70 percent of the domestic market to Google’s 24 percent and Apple’s 6 percent, according to a separate estimate from Consumer Intelligence Research Partners. But most of the market growth is happening internationally, where Google’s more extensive language capabilities and the prevalence of Android give it a leg up. While the U.S. still accounts for the majority of smart speaker sales overall, it only brought 16 percent of the growth last quarter, and China is on the verge of catching up. The news comes as Nikkei reports that Google is planning to release its long-anticipated answer to Amazon’s screen-equipped smart speaker, the Echo Show, later this year. Google has been marketing its Home devices heavily with a star-studded ad campaign and big activations at events like CES and SXSW. Amazon’s slipping sales may indicate the limits of its head-start advantage. While Amazon has had more time on the market to build out an ecosystem of applications and third-party integrations for Alexa, it still can’t match Google’s broader knowledge base or stronger international presence. Amazon is also facing newfound competition from the Sonos One, which boasts superior sound quality, and the Apple HomePod, which has the advantage of syncing with Apple’s widely entrenched software ecosystem. Various studies have also shown that people aren’t much interested in shopping through a smart home device; they mostly want to listen to music or check the weather. The Information reported last week that Amazon’s internal data showed that only 2 percent of people with Alexa-enabled devices have made a purchase by voice at any point this year. Those findings cast doubt on the retail promise that was part of what attracted Amazon to the market in the first place.